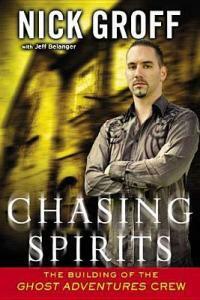 In 2004, Nick Groff cowrote, coproduced, codirected, coedited, and costarred in Ghost Adventures: The Original Documentary. The film was a winner at the Los Angeles Film/Video Festival and was nominated for Best Feature Film at the Eerie Horror Film Festival. The documentary led to the creation of the television series Ghost Adventures, which airs on the Travel Channel. Groff is the executive producer, cohost and investigator for the series.